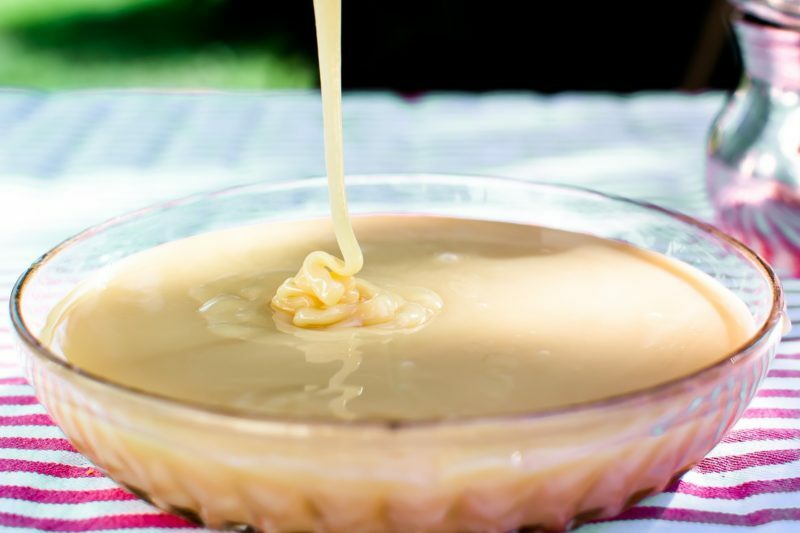 This post is about using sweetened condensed milk in your morning coffee or tea in place of both sweetener and creamer. It’s rich, delicious, and allows you to make a rich and satisfying hot drink at home without dropping $5.00 at your local coffee house. In fact, the flavor of sweetened condensed milk as a creamer reminds me of the more expensive flavored “Italian Sweet Cream” creamer. This idea came to me while Bus Boy and I were recently reading “A Tree Grows In Brooklyn” by Betty Smith. In it, condensed milk was what the Nolan family used in their daily coffee. 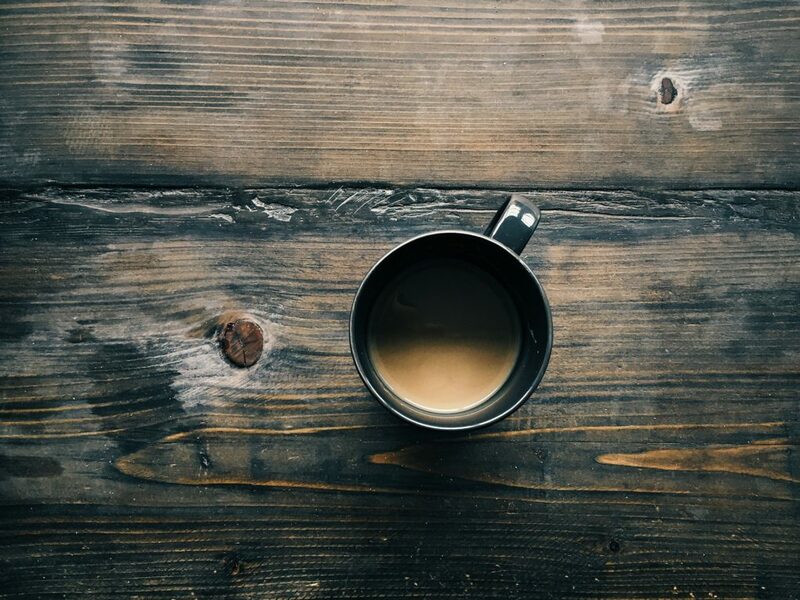 As we read, I remembered that my grandmother often had a can of evaporated milk in her refrigerator that she would use as creamer in her morning cup of coffee. This memory, and the prompt from the book, made me wonder how sweetened condensed milk would work as a creamer in coffee and tea. As an adult, I had never used canned milk in my coffee or tea. As a child, I hadn’t tried it, either. I didn’t drink much coffee or tea, and usually, shortly after arriving at my grandmother’s house, someone would go to the store and buy a half gallon of real milk, but since she and my grandfather lived alone, fresh milk was a luxury that she didn’t keep in her house when the grandchildren weren’t visiting. 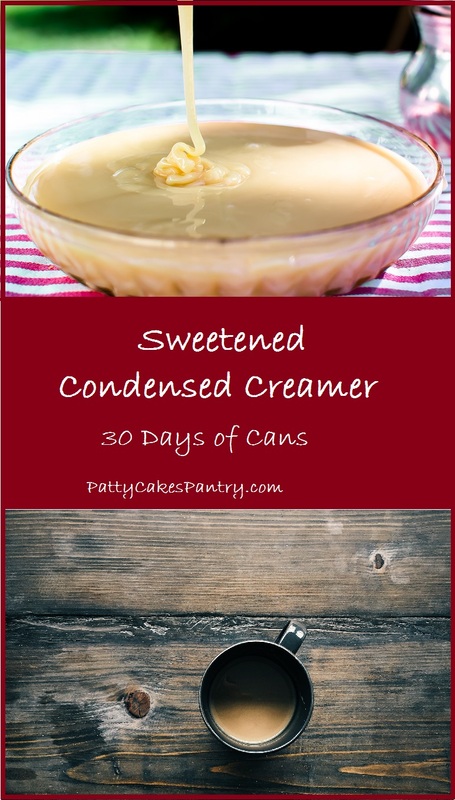 Since this is 30 days of cans, I decided that this would be a good opportunity to see what we though of sweetened condensed milk in our drinks. I’m not posting a recipe for this. All you need to do is make your usual cup of coffee or tea, and instead of your usual creamer, stir in a teaspoon or two of sweetened condensed milk. Here’s the Nutritional information for a serving of 2 tablespoons (6 teaspoons) of Sweetened Condensed Milk. Cost of Sweetened Condensed Milk: $1.00 for a 14 ounce can or $0.05 per 2 tablespoon serving.